WordCamp Philippines on October 2010! WordCamps are informal, community-organized events that are put together by WordPress users like you. Everyone from casual users to core developers participate, share ideas, and get to know each other. WordCamps are open to WordPress.com and WordPress.org users alike. It is scheduled on October 2 this year and they haven’t publish any details yet, but what the heck! I’m still going! So fellow WordPress bloggers, hop on to our mothership! 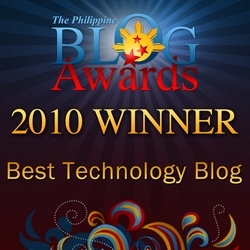 3 Responses to WordCamp Philippines on October 2010!